How To Plan Your Summer Bucket List! Every year my youngest son asks me when we are going to make our Summer Bucket List. It is a big deal to him and he looks forward to choosing a few events to add to the lists and wondering when his idea will get picked! We usually keep a couple of family plan passes at a zoo or museum, so those are no-brainers for our bucket list. Then we have to fill the summer with fun, education and trying new things, even if that new thing is a special flavor of gelato! Today I am sharing how we plan our summer bucket list and hope it will help you create, document and enjoy your summer adventures! Take a few minutes to jot down as many ideas that you feel will interest your family this summer. Allow the children to chime in carefully explaining that there will be a grown-up discussion on the final decision. Make sure to add some low-cost and free items on the list! Create a summer budget. Even if it is just enough money for ice cream once a week or a trip to the local zoo, setting a budget and sticking to it is just smart. You are setting an example for your kids and not over-spending. 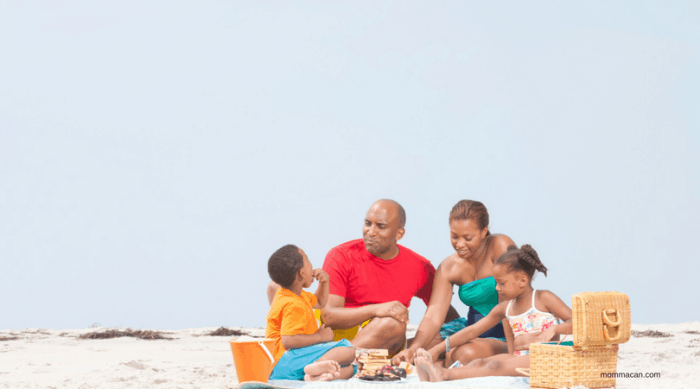 After family discussions, budgeting and finding a few free but fun items to add to your summer bucket list write it down and stick it someplace so the whole family can see and start building excitement for the events. Try to make sure that each child has one of their ideas on the list, this keeps the peace and it helps create a fun family atmosphere for all the plans and adventures. 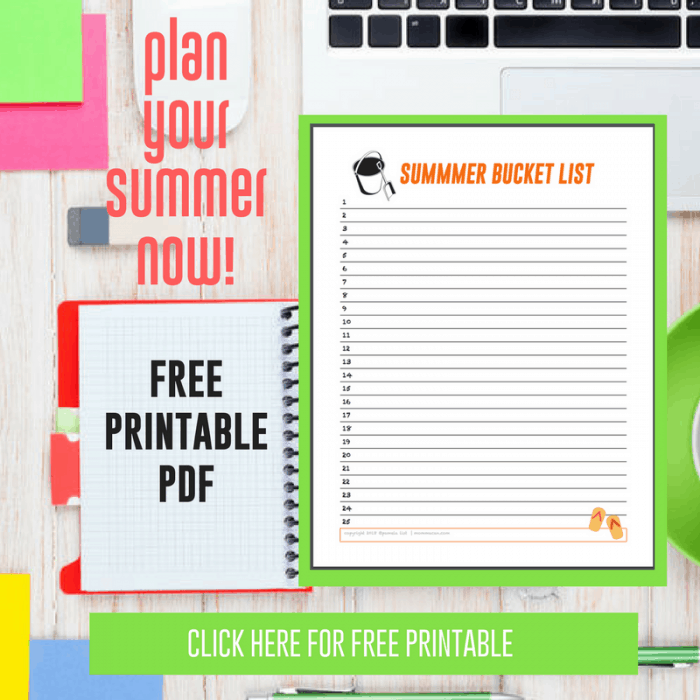 Click here to download your free printable summer bucket list. As each item on the bucket list is complete make a big deal at dinner or some other time during the day to check-off the completed items on the bucket list. This is an easy way to create bonding time with the family. During each bucket list adventure have the children seek out some kind of item or ticket receipt to place in a special jar , bowl or even tacked onto a bulletin board. This special place should be in a common room so that the whole family can see the memories build up over the summer. I keep a large pottery bowl on the dining room table, and it has been such fun to watch the items collecting and taking time to remember the musicals, movies and other adventures we have taken in the summer. SUCH FUN! Keep a bullet journal, an Instagram journal, or just take photos and note when and where the events happen. Documenting these family memories will give everyone an opportunity to look at them and relive the wonderful times for years to come. You can create a special email account and just take photos and jot notes all through the summers and other special events. Then allow the children to take a peek every once in a while and read to them the stories and look at the photos with them! This takes away the stress of creating photo albums constantly. However, I love photo albums! But just think how much easier it will be with dates and notes to go with the photos in your special email account. I would love to hear what you have planned for the summer! I would especially love to hear about low-cost and free ideas because so many folks are on a tight budget and summer should be fun for all! The gang and I will be sharing one more update of our spring bucket list (boy, do I need to get busy) and then on the first day of spring, we’ll post our summer lists. Love the printable you shared. If it is okay, I will link back to it in my posts.